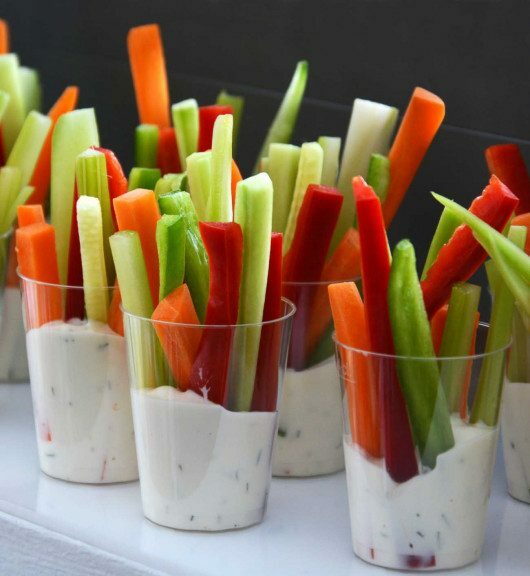 These 10 delicious finger food recipes are ideal for any friends party or a family visit. They are light and easy. Try some of them. While the cornflakes are still in the bag, smash them with a pan or measuring cup until they are the consistency of breadcrumbs. Set up a breading station: put the flour in one bowl and season with the salt and pepper; put the eggs in another. Put the bag of cereal crumbs on the side. Cut the string cheese in half crosswise so they are the length of regular mozzarella sticks. Dip each piece in the flour to coat, shake off the excess, drop in the eggs and then drop in the bag of cornflake crumbs and shake to coat. Drop the coated cheese back in the egg and then cover with another layer of cornflakes. Fry on a hot pan with oil for 5 min. 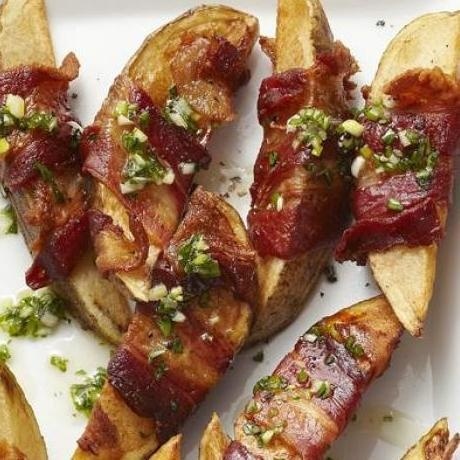 Wrap each potato with a bacon and secure with a toothpick. Place in a baking dish and bake until bacon is crisp and potatoes are tender, 40 to 50 minutes. Beat egg whites with a fork in a bowl. Mix well breadcrumbs, basil, garlic powder and cheese on a plate. 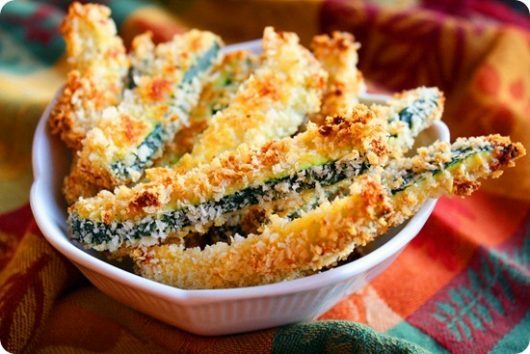 Dip the zucchini sticks in the egg whites and roll into the bread crumb mixture, to coat well and place on the baking sheet. Bake for 20-25 minutes, turning over half way through. When the sticks will be golden brown and a little crispy, they are done. Cut the watermelon into 1-inch cubes. Cut the ham into thin strips about 1/2 inch wide. Cut the cheese into squares to fit the top of the cubes. 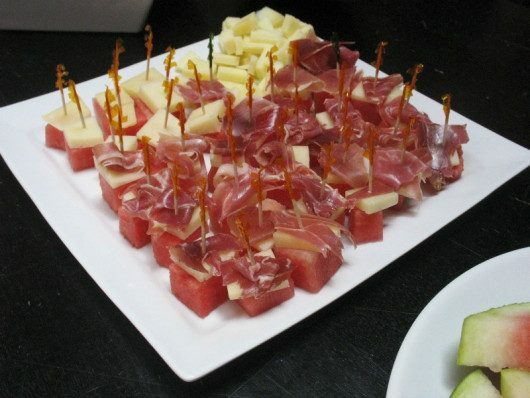 Place a piece of cheese on top of a watermelon cube, and then carefully top with 1 or 2 folded strips of ham. Secure with a cocktail pick. Thread shrimp and nectarines alternately on skewers. Place skewers in a shallow dish; drizzle with 1/2 cup soy sauce mixture, turning to coat. Cover and refrigerate 30 minutes. Preheat grill to medium-high heat. 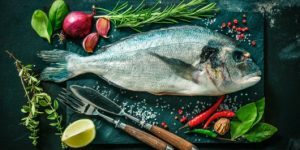 Remove skewers from marinade. 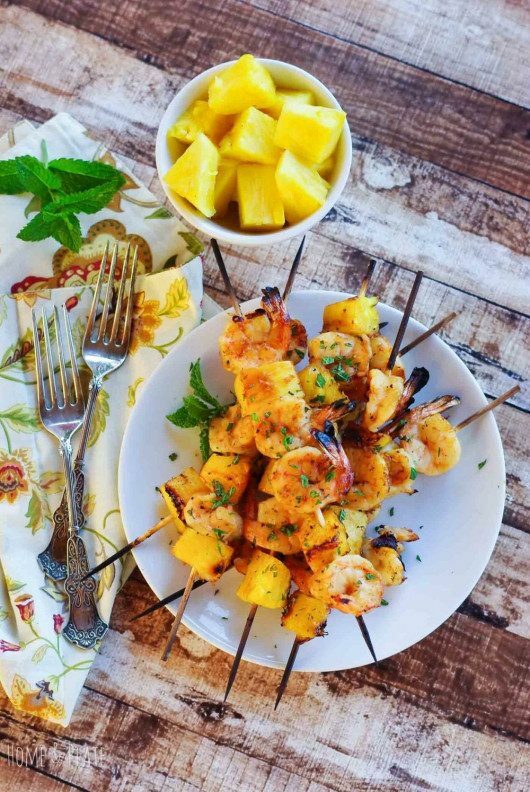 Grill skewers 3 minutes on each side or until shrimp are opaque. Garnish, if desired. Rinse, dry and slice the potato as thin as possible. If chips are too thick in parts they won’t crisp up all the way. Coat slices lightly in olive oil, then sprinkle with salt. 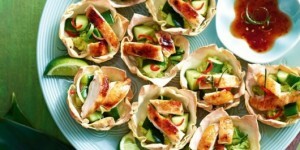 Lay out on a baking sheet and bake for about 2 hours, flipping or rotated for more cooking. 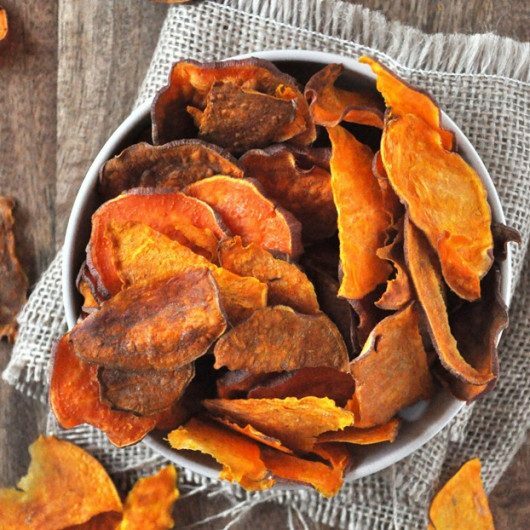 Remove once crisp and golden brown. 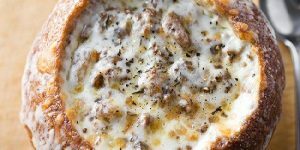 Serve with homemade hummus. Stir together the chopped tomatoes and sliced onion with a dash of olive oil and vinegar. Toast the bread. 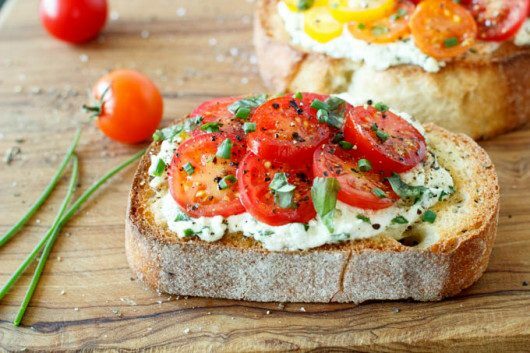 Cut in half and spread with ricotta or cream cheese to your taste. Top with the fresh tomato salsa and serve with a green salad. 3 or 4 different kinds of fruit,berries. Wash, peel and cut fruits into medium chunks in a bowl. 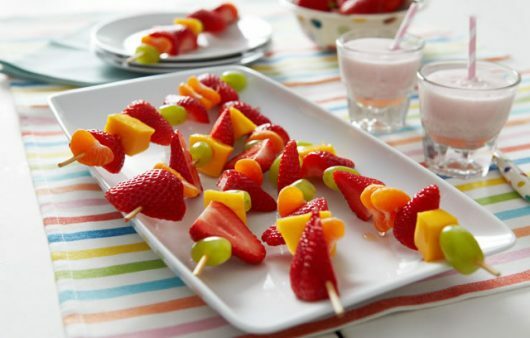 Thread the fruit through the skewers. Serve on the plate with a Greek yogurt deep or a tasty nut butter dip. 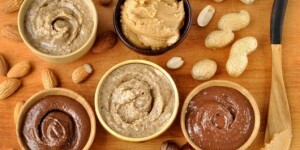 Check these 9 healthy homemade nut butters. 1 cup of low fat greek yogurt or homemade hummus. Pour 2-3 tablespoons of greek yogurt or homemade hummus in each cup. Place 3/4 cup vegetables in each cup. Mix cream cheese, sour cream, garlic,salt and pepper in a bowl. Spread the cream cheese mixture on top of salmon. Roll the salmon, in a long thin roll and then wrap in cling film and put in the fridge for an hour. Cut the salmon roll into bite size pieces. 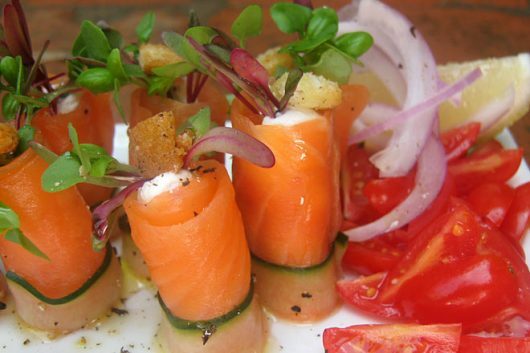 Arrange on a serving plate and garnish to your taste. 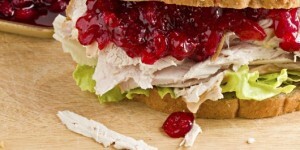 We have another 12 easy and healthy appetizers or these 7 healthier food options for any holiday. 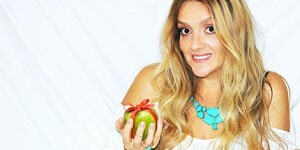 Make you healthy not heavy!